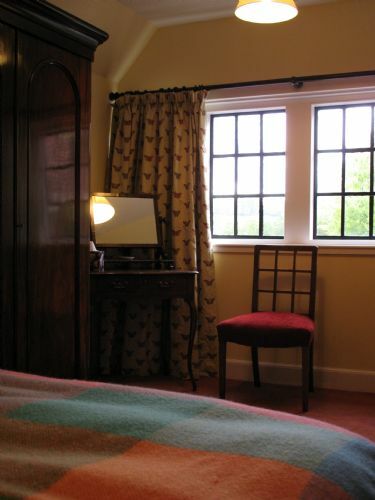 The Bell Loft sleeps up to 5 in the former servants' quarters. It is delightful and wonderfully comfortable! Amazing stay in the Bell Loft! Our family visited Scotland for the first time this September and we were recommended to stay at Noddsdale. As there were 5 of us we stayed in the Bell Loft which had a lovely homey ambiance with the welcoming homemade shortbread and flowers. Loved sitting around the fireplace and relaxing. 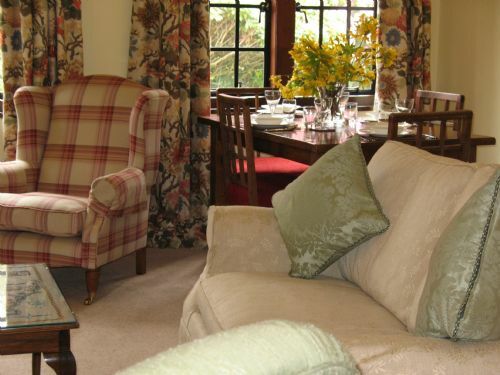 Beautiful rooms, décor and grounds of the estate which we hiked up in the morning to see beautiful views of Largs. Great base for exploring the area. Took a day trip to the Isle of Mull to see Rothesay Castle and Mount Stuart house. Jane made us feel very welcome in her lovely home. Wished we could have stayed longer and will highly recommend a stay here. We hope to return again! Thank you so much - and it was Bute, not Mull for Rothesay and Mount Stuart - but you packed so much in....I'm not surprised you got muddled!.....brilliant! 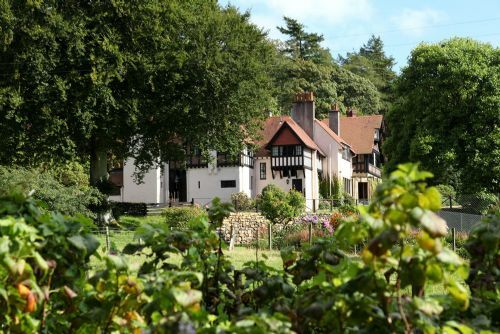 We booked Noddsdale Estate on the weekend of our wedding, for some family to stay and use as a "Groom Base" on the morning of the wedding. 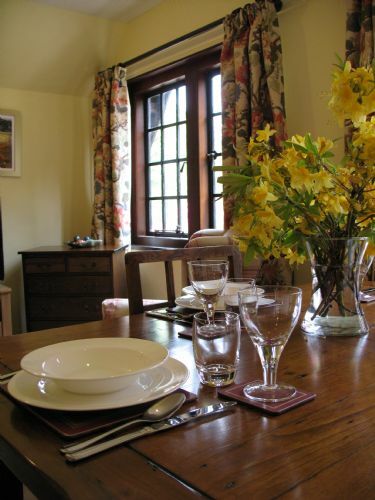 Everything was splendid - Jane was very helpful and accommodating by email from the moment we made the booking. Her mother Elspeth looked after us when we arrived on Friday evening and made sure we were happy. Thanks so much - would definitely stay here again! Thank you Iain! Glad you were happy with us and that you had a lovely wedding. Wonderful location, quiet and peaceful, with a very warm welcome from the family. Thank you for returning to us. It was lovely to see you both again and look forward to the next time! Our family met here for 2 nights in August to eat, walk and talk. The Bell Loft was the perfect location. The setting is stunning with views across to the Islands and the Loft so comfortable. Comfy beds, beautifully equipped kitchen with everything we would need and a cosy fire to curl up to as the rain fell outside in the evening. We were welcomed so warmly and the living room was perfumed with Phlox fresh from the garden. Thank you so much Sue - so glad you enjoyed your stay! Just had a wonderful week with our two teenage daughters, beautiful apartment, so comfortable, very restful, great to relax n read our books. Cycle round Cumbrae and Gourock outdoor pool great. Hope to return to Noddsdale. Great you had such a good time and glad you enjoyed your days out too! Thank you for coming. Cool but qiuite dry, green hills, daffodils, hyacinth, and spectacular views up the hill at the back of the house. Most complete kitchen I've come across in self catering. A wonderful stay! Our second stay in the Bell Loft - it is a gem! 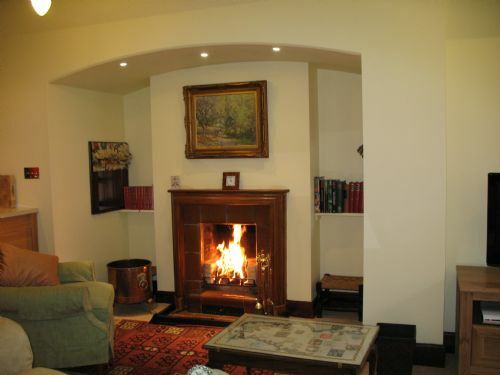 The property is well equipped and comfortable the log fire makes the place so cosy. Scenery is stunning - Largs itself sits right on the Clyde and makes a perfect base to explore other areas. Jane, Chris and Jane's parents are just delightful people, really welcoming and friendly. We spend a lovely Christmas there, Jane had added some festive touches - so thoughtful and unexpected. Wouldn't hesitate to recommend this lovely apartment to others. Thank you so much and we are really glad you enjoyed yourselves! We thorough enjoyed our stay. Very clean and comfortable. We would highly recommend this apartment for a base for touring. The owner was very helpful with arrangements. So glad you liked staying at Noddsdale and enjoyed your tour of golf courses! The accommodation at the Bell Loft is excellent and I would recommend it to others. Great location close to town whilst still being in the country/glen. Great facilities for a family or those looking for some peace and quiet whilst retaining the ability to go into Largs for any necessities. Thank you so much for staying with us and so glad you liked it! 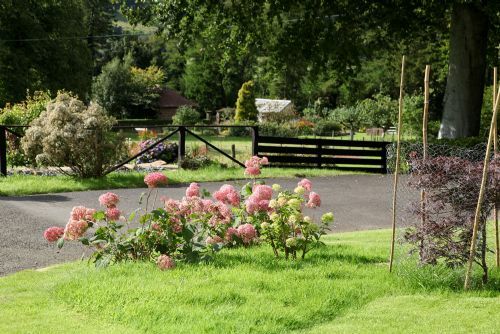 Jane and her parents were most welcoming .The house is in a stunning location and sitting out in the gardens until late in the evening was very relaxing , with wonderful views over Largs and out to the Islands. Everything was perfect and very well presented . Our son left something behind , and Jane very kindly emailed us and posted the item back to us. I am sure we will be staying there again sometime in the future, and would highly recommended this property to anyone planning to visit the area. We are so glad you enjoyed your stay and would be delighted to see you return in the future. Thank you for your kind words! We loved our stay there was plenty of beds and the place was great after a long hard day out in the cold. Pretty easy to find and We were made very welcome. Thank you - glad you liked it! This was the second time we had stayed at Noddsdale, previously we were in the East Wing. It is truly a home from home. Everything that you could possibly need is there from teaspoons to roaring log fires. A stunning house in a stunning setting and the owners are extremely friendly and do everything they can to make sure your stay is memorable. We found the East Wing was perfect for a summer break with it's fantastic views and the Bell Loft offers you a warm, cosy winter retreat. I would heartily recommend Noddsdale to people looking for a relaxing away-from-it-all holiday. Thank you! So glad you enjoyed your weekend in the Bell Loft. Had a lovely time at this beautiful cottage. A warm welcome from the owner and fresh flowers and homemade shortbread waiting for us. 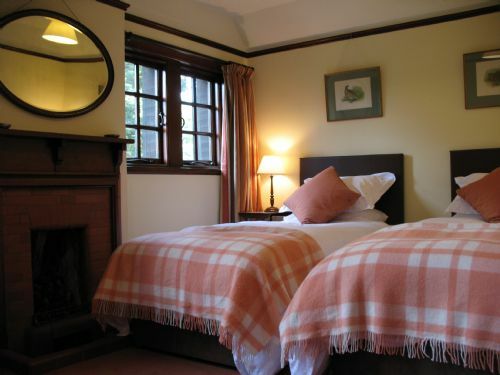 The rooms are nice and cosy and beds comfy. Ther is a tennis court and lovely walks around the impressive gardens. Great place to go for a relaxing time away. Thank you for your review and so glad you enjoyed your stay. Our stay in the Bell loft at NODDSDALE ESTATE was simply WONDERFUL. Everything was perfect. The facilities were excellent. The hosts were helpful in every way and were a pleasure to deal with. We make the highest possible recommendation and encourage the reader to look no further - this is indeed a "wonderful home away from home". Thank you for your lovely review. So glad you felt 'At Home'! Good to know. Wonderful place to stay and relax. Beautiful gardens and views. The Bell Loft exceeded our expectations. We will come back again. Thank you Jane and Chris. Thank you so much - it was great to meet you all and we look forward to the next time! Even better second time. Just love this place and the wonderful warm welcome received. Perfect home from home, has everything you need and more - best stocked cupboards I have come across, will definitely return. Glad you enjoyed your second visit! Thank you for your great comments - much appreciated. A luxury home from home. Stunning location. Extremely comfortable, beautifully furnished & equipped. We wanted for nothing! Flowers & home made shortbread to welcome our arrival were the icing on the cake! It was lovely to meet you and thank you so much for a wonderful review. I am so glad you enjoyed your stay. Noddsdale Estate is perfectly located just outside of the busy town of Largs (weekends) and commands a wonderful view over the neighbouring island. The house itself is embedded in a carefully maintained garden and even offers a tennis court. The Loft itself is spotless, everything appears to be new and is in perfect working condition. It is also fully equipped, including plenty of firewood. We enjoyed the walks on the estate behind the house and the excursions to Dean Castel, Culzean Castle, Arran Island and Brodick Castle - all within easy reach of Noddsdale. A memorable stay in Scotland that we hope soon to repeat ! Thank you! We are delighted that you enjoyed yourselves and we look forward to your return! A brilliant place! Brilliant customer service and spotlessly clean! It has everything you could ever think of at your disposal! We can't wait to find an excuse to go back! We are so pleased you enjoyed yourselves and it would be lovely to see you again sometime! Thank you so much for your kind words! Glad you enjoyed yourselves (and the shortbread!) again. Great location - lovely property. The Bell Loft was comfortable and welcoming, in a great location with easy access to beautiful walks and adventures further afield. So glad you enjoyed yourselves and look forward to seeing you all again soon. Stayed with family for Xmas 2014 on our second stay in the Bell Loft. Great remote location with fantastic views over Largs. Enjoyed the warmth of the log fire to combat the cold weather. Would definately stay again. Glad you enjoyed the log fire as well as the views! Noddsdale: the place to be! Last year with all the flowers and lambs in spring time and now with those beautiful autumn colours. Noddsdale is lovely whenever you come! Our daughter is studying in Glasgow for 4 months and she came over with a friend in the weekend and slept like princesses on those boxspring beds in their own room with a bathroom. So nice to be together again in the cosy Bell Loft. We enjoyed the stunning view from uphill on the estate behind the house and the family of phaesants around the house. But the best family of all are Elspeth, Peter, Jane and Chris, they make our stay extra special, thank you for the lovely evenings and the shortbread! We are still grateful for the chance we had 31 years ago to live in one of the cottages on the estate, the best time of our life! Thank you Chris for showing us and explaining the hydro scheme. Keep up the good work! Glasgow is very much worth visiting and do make a roadtrip with the small ferry from Gourock to Dunoon – Loch Eck – Inveraray – Loch Awe with Kilchurn Castle – Dalmally - Tyndrum – Tarbet (with the cosy tearoom behind the hotel) – Loch Lomond (stop at Luss to enjoy the view) – Erskine Bridge – Greenock – Largs. You can do it in one day. In the summer you can make a detour near Dalmally via Glen Orchy to see some more of the Highlands. Dark too soon now. We will be back, hopefully for 2 weeks, a good place to relax and there is still lots more to explore!! Many many thanks for our wonderful stay and your hospitality! Great to have you here again and thank you for all your generous comments! So glad you enjoyed yourselves at Noddsdale and we hope to see you again sometime! A hidden gem. Fabulous location, property, grounds, views and hospitality. We were made very welcome by the Owners. The Bell Loft has everything required for a short or long stay. Plenty of space, well equipped and very comfortable. Will definitely be returning. Thank you! It is great to know that you will return and for longer next time! Charming house in a lovely setting. Being slightly outside Largs was not at all inconvenient--and beautifully pastoral. We really enjoyed hiking up into the hills right behind the house--gorgeous views. Extremely hospitable hosts--flexible & accommodating to our large group. 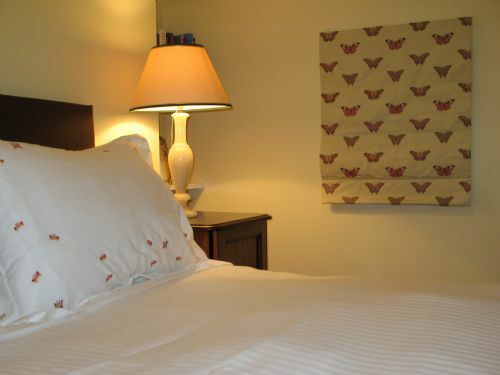 Very well equipped modern kitchen & baths, comfy beds...a delightful stay! We are so glad you were happy with your stay at Noddsdale and you were able to enjoy some of the joys of living here....thank you for coming! Beautiful country home in an ideal location. Very private, with great country walks with amazing views. We would love to return. Close to Arran and the town of Larges is very pleasant, with an extended esplanade. Thank you so much for your magical review! We look forward to your return visit....we loved meeting you both. The Bell Loft has been converted into a beautiful self contained unit comprising a combined lounge, dining area and kitchen (which all works extremely well), two bedrooms and two bathrooms. Bell Loft is very well equipped and there is a fridge and dishwasher in the kitchen and full laundry facilities in the separate laundry room. The most amazing aspect of the Bell Loft is that it is part of a beautiful old house with fantastic gardens. Jane and her parents are extremely charming people and very helpful. This is a real home from home in a great location for walking and general sightseeing. We would also recommend The Catch at Fins restaurant in Fairlie and Scotts restaurant at Largs marina for those wanting a nice meal out. We are so glad you enjoyed yourselves and thank you for a lovely review. Haste ye back! Good accommodation in lovely country setting, ideal for a family. Excellent place to relax and unwind. Everyone very friendly and helpful. Would definitely stay again. Thank you very much! We will look forward to seeing you again. As alwasy we had a very pleasant stay at the Bell Loft. This is a real home from home for us as we visit Largs on a regular basis. Would highly recommed the Bell Loft to anyone looking for a very high standard of self catering accomodation. Thank you so much for your continued support! Much appreciated. This was our second visit. There were beautiful flowers, coal for making our own fire - it can get a bit chilly so a nice touch. It was great to have good quality hand wash by each sink and nice thick towels. 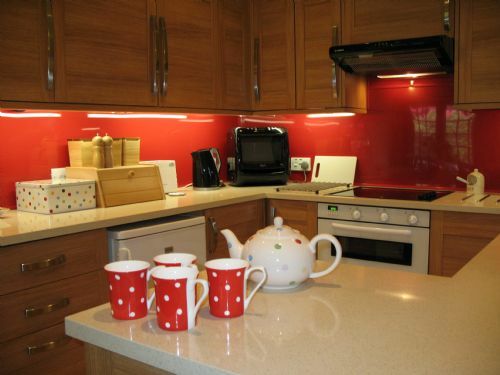 The kitchen was very well stocked and there were many thoughtful extras such as delicious homemade shortbread. The place was spotless and homely. It was lovely to see you again and thank you for your great review. So glad you enjoyed your second visit. We have now decided to use our own supply of logs for the open fire - to be 'greener'. Less miles/carbon etc...hopefully the burning logs will take the chill off the cooler evenings in a more sustainable way! We had a great stay at the Bell Loft. 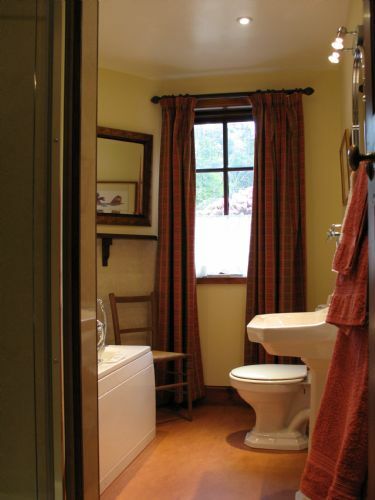 It is very comfortable but retains the character of being part of an historic building. Lots of extras provided - from the welcome milk and shortbread to plenty of towels, tea and coffee and everything you could need in the kitchen! 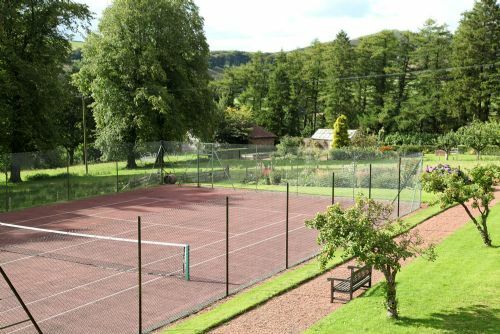 Bonus having a tennis court available too. We had a very friendly welcome and would thoroughly recommend to others. Hope to return in future. Thank you for coming and for your positive feedback - we look forward to welcoming you back sometime! This is such a lovely place. Peaceful, and beautiful location. Suberb, and comfortable accommodation. With extremely nice hosts. It was exactly the right place for our two night family gathering. A fabulous place, which I would really like to keep secret for future visits. An example to others of how holiday lettings should be. I would also like to send a very big thank you to our hosts. Thank you so much. We aim to please and are delighted we succeeded! Hopefully you might manage to stay a little longer on a future visit. Thank you so much - we love it when you love it and come back and back! We all had a brilliant week in The Bell Loft. We were up in Largs to sail in the GP14 National Championships and the apartment was perfect for our needs. The accommodation was very clean, comfy and the kitchen had every utensil we could think of. We had clean and dry kit thanks to the laundry facilities and the kindness of the owners who let us dry it inside the main house by the aga! The house is a little way out of Largs but the taxi fares were cheap enough and the grounds were delightful. We will definitely come back when the nationals are next in Largs and I'd recommend it to anyone else thinking about a holiday in the Largs area. Thank you so much for your lovely comments. We look forward to seeing you again! Time to relax at the Bell Loft of Noddsdale!! The Bell Loft, how exciting!! We returned once again to Noddsdale to celebrate the fact that we lived on the estate 30 years ago in one of the cottages. Those were very special 10 months we will never forget. 5 years ago we stayed for the 4th time in the lovely East Wing with the spectacular view. The renovation of the Bell Loft looked very promising, what a good idea! 5 years later we were very curious to see the result and we loved it immediately!! A very cosy and very comfortable home, also on a rainy day. Settle down in front of the fireplace and read a book, time to relax! Or in the lovely garden on a sunny day and we had lots of them. Our daughter came for a few days and had her own bedroom and bathroom, so the Bell Loft is also very suitable for 2 couples. Internet to keep in touch with the outside world and a complete kitchen, I cannot think of anything that wasn't there. Enjoy the beautiful estate, flowers everywhere when we were there, go for walks, also in the Glen, the views are great especially uphill. If you like to play tennis, the court is at your doorstep. We thank Peter, Elspeth, Jane and Chris very much for their very kind hospitality, can't wait to come again, it feels like coming home everytime. Hopefully in one year if Fenna may study in Glasgow!! Let's keep our fingers crossed. Be proud of what you have achieved, it is a dream to spend your holiday like this. Thank you! We love it when you are happy, relaxed and enjoying yourselves and that you like to come to back Noddsdale again - you are always welcome! The location was great not too far from the town and in such tranquil surroundings. House was beautiful, furniture was very comfortable, everything was so clean, and the owners were very kind. Everything was spot on. Thank you so much for your positive comments - much appreciated! We found the Bell Loft to be the finest self catering accomodation that we have stayed at. We were made to feel very welcome by the owners and nothing was too much trouble for them to help us. 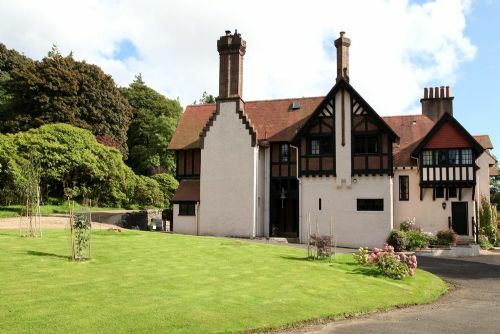 The location is superb in a private estate with views across the Clyde to Great Cumbrae and Arran. The facilities were excellent - even a tennis court if you were a player - and the grounds of the house were beautiful and secluded. The house is very attractive in design with many unique small details that a good Architect would employ. We were sorry to leave, but all good things must come to an end! Thank you! We are so pleased you enjoyed your stay. We stay at the Bell Loft regularly and regard it as our home from home in Scotland. The setting is ideal and the property just perfect. We would highly recommend. Thank you! We are so glad that you enjoy coming back and back!